Torque Master Garage Spring in San Diego County. The Torque Master: is the spring system developed by Wayne Dalton garage doors. It consists of an oval hollow tube with internal springs and gears at each end of the tube, that are attached to the door cables. This spring system is only used on Wayne Dalton Doors. The senario: You have a Wayne Dalton iDrive because you have a low beam in your garage. And your spring breaks. This becomes a dilemma because Wayne Dalton no longer makes Idrives – Wayne Dalton was bought by Genie Operators. Idrives were a great concept but they had a lot of issues. So now if you replace the Torque Master tube which Genie still sells and your idrive breaks – you cant get parts and you can’t buy a new one. 1. Replace the torque master setup with a Torsion Setup and buy a Liftmaste Jackshaft – This would be the most expensive way to go but probably the best worry free way to go. 2. Get another Torque Master Tube – Slide the old Idrive back on and run it till it goes and deal with it later. In this video the customer went with option2. The Torsion Spring setup: has a thick tube with much bigger external springs. The Torsion Spring System is the most common type of garage door spring system. 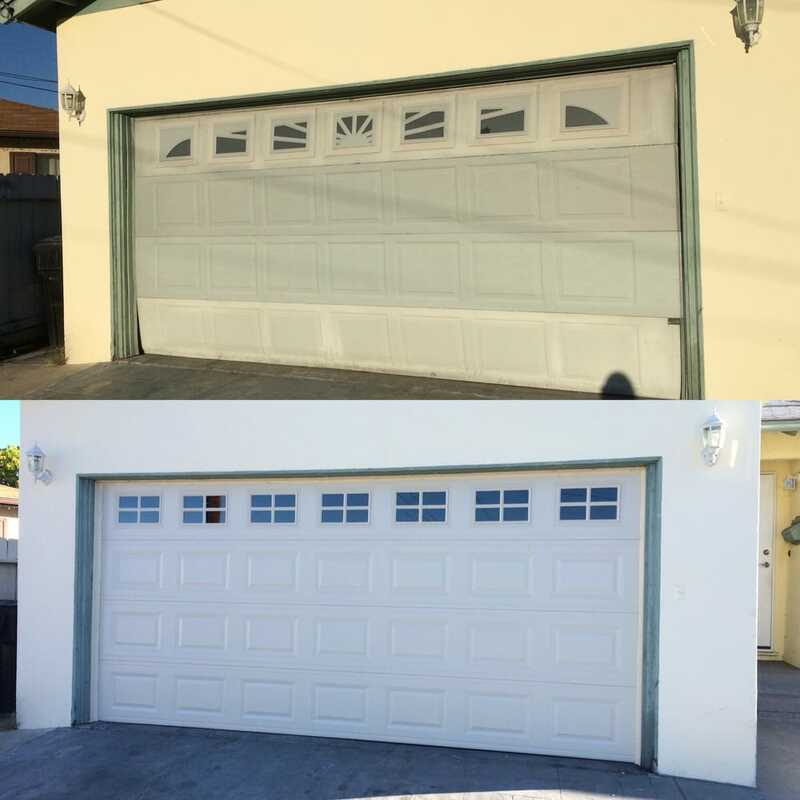 So which is the Better spring setup for your garage door? In my humble opinion I would go with the TORSION Spring setup. ….so if and when the TORQUE MASTER Spring breaks in my opinion you should go ahead and convert over to a TORSION spring setup. And the reason being is because the TORSION SPRING setup is a superior system, its more common so parts are more readily available, tend to last longer, and Wayne Dalton has changed the design of the Torque Master system quite a few times to try to improve the system. And by changing the system over the years it means you have to swap out the entire tube, flange brackets, drums, cable along with the spring…..that makes it more expensive…and also I personally do not see a great improvement in the Torque Master System. That being said about Wayne Dalton Torque Master System…is not saying that Wayne Dalton Garage Doors does not make great product….I install Wayne Dalton Garage Doors all the time. But Wayne Dalton offers you a choice between getting your customer a torque master or torsion setup. I ALWAYS do the TORSION setup because I know there will be less of a chance of something ever going wrong…. and that’s always the more desirable situation for both the customer and myself. If you bust a TORQUE MASTER spring and need it replaced…..convert it to a TORSION SPRING setup. Im in Indiana and have this problem. I want to convert to a Torsion Spring setup. Can you direct me to what I need in order to do this? Big question is do I need a new tube or do I use the old Wayne Dalton one? You have to buy a new tube the Wayne Dalton tube is oval and has the springs inside. The torsion tube is round and the springs will go on the exterior.